Maria Leon, a member of Venezuela’s National Constituent Assembly, thinks that depriving opposition leader Juan Guaido of parliamentary immunity is not enough, and has called him a “traitor” to the homeland. “For me, the revocation is too little. How are traitors to the homeland treated? Anyone who betrays his homeland does not deserve to be called Venezuelan”, she said. As Leon urged to punish Guaido by applying sanctions, people in the audience repeatedly yelled “Against the wall!” possibly implying that he should be executed by firing squad. — NTN24 Venezuela (@NTN24ve) 2 апреля 2019 г. The decision to revoke Guaido’s immunity has paved the way for his prosecution and potential arrest over violating the Constitution when he declared himself Venezuela’s interim president in January. 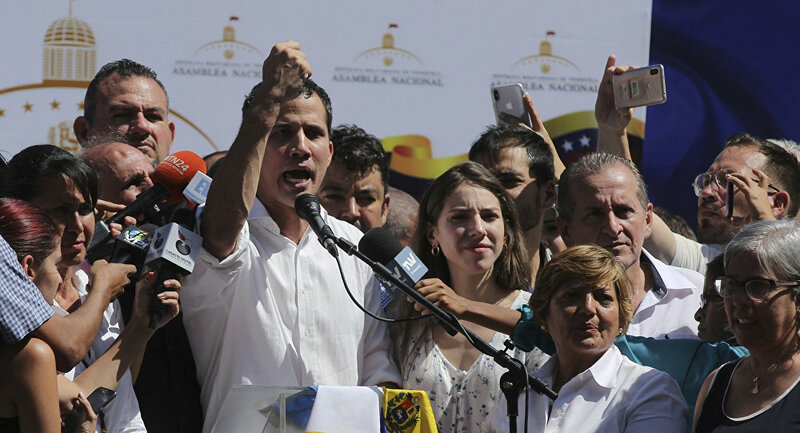 Guaido is also liable to be charged for breaching a 29 January government ban on leaving the country, which he violated when he visited Argentina, Brazil, Colombia, Ecuador, and Paraguay from late February to early March. “The National Constituent Assembly of Venezuela allows the continuation of a judicial investigation against Juan Guaido”, the document read. 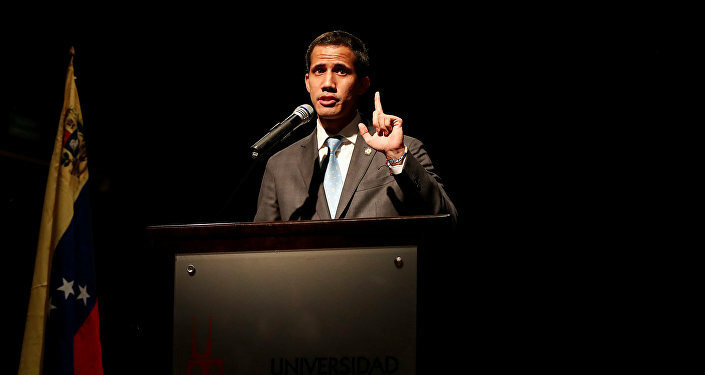 Reacting to the move, Guaido said that “there’s no turning back”, and “we will continue to act and talk to the Venezuelan people”. This comes shortly after Venezuela’s state comptroller Elvis Amoroso announced that Guaido is to be banned from holding public office for 15 years due to inconsistencies in his personal financial disclosures and a spending record that does not match his level of income. Venezuela plunged into an ongoing political crisis in early January when Juan Guaido was elected the head of the opposition-led National Assembly that all other government branches have been refusing to recognise since 2016. In mid-January, two days after the Venezuelan Supreme Court annulled his election, Guaido proclaimed himself interim president, challenging Nicolas Maduro, who was re-elected in May 2018 and sworn in for a second presidential term on 10 January. The United States immediately recognised Guaido, prompting dozens of countries across the globe to follow suit, while Maduro dismissed the move as a coup attempt staged by Washington. A vast number of other nations, including Russia, Iran, Cuba, Turkey, among others, expressed their support for Maduro as the only legitimately elected president of Venezuela.